Encaustic Painting . . .
Encaustic is a beeswax-based paint that is kept molten on a heated palette. It is applied to a surface and reheated to fuse the paint into a uniform enamel-like finish. The word encaustic comes from Greek and means to burn in, which refers to the process of fusing the paint. Encaustic has a long history, but it is as versatile as any 20th-century medium. It can be polished to a high gloss, it can be modeled, sculpted, textured, and combined with collage materials. It cools immediately, so that there is no drying time, yet it can always be reworked. Encaustic paint has no toxic fumes, nor does it require the use of solvents. As a result, a number of health hazards are reduced or eliminated. Encaustic painting was practiced by Greek artists as far back as the 5th century B. C. Most of our knowledge of this early use comes from the Roman historian Pliny, who wrote in the 1st century A. D.. Pliny seems to have had very little direct knowledge about studio methods, so his account of techniques and materials is sketchy. According to Pliny, encaustic was used in a variety of applications: the painting of portraits and scenes of mythology on panels, the coloring of marble and terra cotta, and work on ivory (probably the tinting of incised lines). The nature of encaustic to both preserve and color gave it wide use on the stone work of both architecture and statuary. The white marble we see today in the monuments of Greek antiquity was once colored, probably delicately tinted like the figures on the Alexander sarcophagus in Istanbul. Pliny says that when the sculptor Praxiteles was asked which of his pieces he favored, he answered those “to which [the painter] Nicias had set his hand.” Decorative terra cotta work on interiors was also painted with encaustic, a practice that was a forerunner to mosaic trim. Perhaps the best known of all encaustic work are the Fayum funeral portraits painted in the 1st and 2nd centuries A.D. by Greek painters in Egypt. A significant Greek population had settled in Egypt following its conquest by Alexander, eventually adopting the customs of the Egyptians. This included mummifying their dead. A portrait of the deceased, painted either in the prime of life or after death, was placed over the person’s mummy as a memorial. Many of these pieces have survived to our own time, and their color has remained as fresh as any recently completed work. 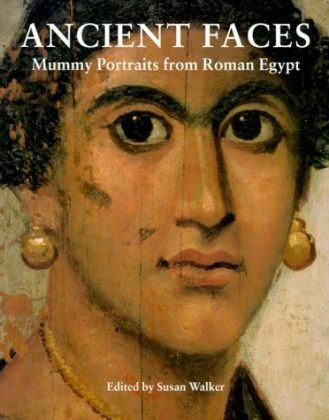 Mummy with an Inserted Panel Portrait of a Youth from 1st Century A.D. This mummy is intact with the panel inserted over the face. As Mayer noted, encaustic painting has be rediscovered by modern day artists and is enjoying a resurgence. If you have questions about encaustic read our FAQs. You can learn more about encaustic painting techniques throughout the All Things Encaustic blog. Wow, the funeral masks from the early 100’s AD are amazing. I love encaustic art and I know that I am going to enjoy all the great resources you’re going to offer. Thanks. Thanks for stopping by Dawn – I am excited about this new site and I hope that it will become a valuable resource for all things encaustic. Thanks for sharing the FULL story of the origins of encaustic! I teach encaustic (Seattle, WA and San Miguel de Allende, Mexico) and this will be valuable information for my students!